Global alliances and airline companies are looking for instant cost savings to remain competitive and to stay in business. Star Micronics' experience and knowledge within the airline industry helps to provide products for the budget conscious airline companies for printing tickets, boarding passes, and bag tags. The beneficial features of direct thermal printers, including the low and smaller footprint, presents economical reasons for replacing the large, cumbersome "dinosaur" printers of the past. FVP-10 - The FVP-10 is the most advantageous printer for airline boarding pass and ticket printing, complete with industry sought-after features. Popular features include front media dispensing, ultra-fast 250mm/sec print speeds, and the ability to communicate voice and sound messages to the customer. Airlines can save space with under-the-counter mounting and the ability to stack up to 7 pounds of additional hardware on the top cover of the printer. TSP700II – The TSP700II offers a small footprint, maximized feautres, and high reliability, making this printer series an outstanding airline ticket and boarding pass printer. This printer series offers ultra-fast printing of 250mm/sec to quickly serve customers, bar code printing for simple scanning, and a rear paper feed slot for external fan-folded or oversized paper rolls. TSP1000 – The direct thermal printer boasts unique features! 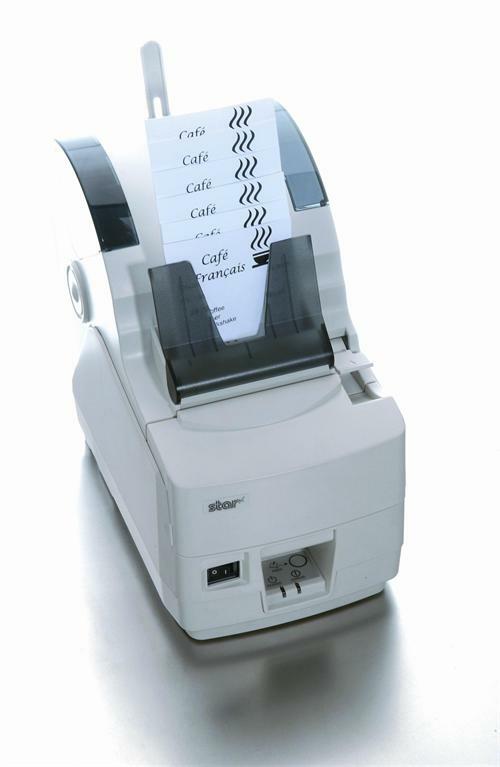 The TSP1000 supports up to 7" roll capacity of ticket or label stock for much less paper replacement and attendance. Utilize the capabilities of printing more tickets and longer documents with the TSP1000's ticket stacker feature. Users can also take advantage of the wide paper width of up to 4.4" to print in larger fonts, producing tickets, boaridng passes, and bag-tags that are easily legible.